Condos are great income-earners. If you don’t plan to use your property year-round, renting it out may be an idea to consider. Just think – your investment could pay for itself in just a few years. There’s never a guarantee, but with Costa Rica appealing to so many travelers, and the condos that are available for sale, the recipe calls for success. Browse condos in Costa Rica here, and let your imagination run wild. Imagine coming to stay for a month, simply because you can. When you have your own second home in a spot like this, vacations can’t be beat. Never again will you have to mess with availability or scheduling booking. There’s no need for deposits or even advance notice. Realize you forgot something after returning home? No worries; whatever it is will be safe and sound in your own place. 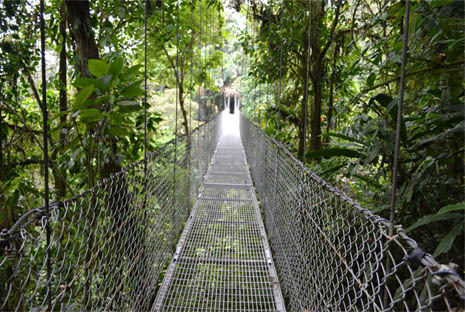 There is so much to do and see in Costa Rica. Pura Vida isn’t the country’s motto for nothing. Adopt the lifestyle and live like you never knew possible. Maybe that living takes place in a two-bedroom villa just a few hundred feet above the beach, or one in a gated community within walking distance to waterfalls. Does the thought of furnishing the new place displease you? There are plenty of properties that come fully furnished. Moving in will be a walk in the park, or rather a walk on the beach. Dominical Real Estate specializes in this foreign market so that buyers like you have a fair chance at purchasing a property that is just too good to be unoccupied. You don’t have to fear the unknown when our realty firm represents you, because there will be no unknown. We have the experience you can depend on, and we’ll include you on every part of the process. Let’s get started today.